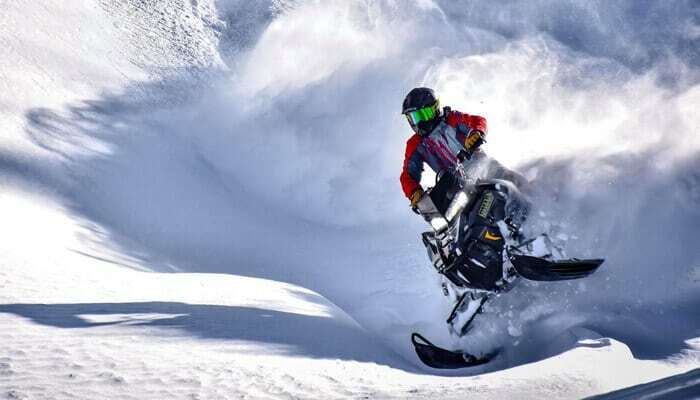 Conquer the mountains on the new 2019 Polaris Pro RMK850 Patriots! 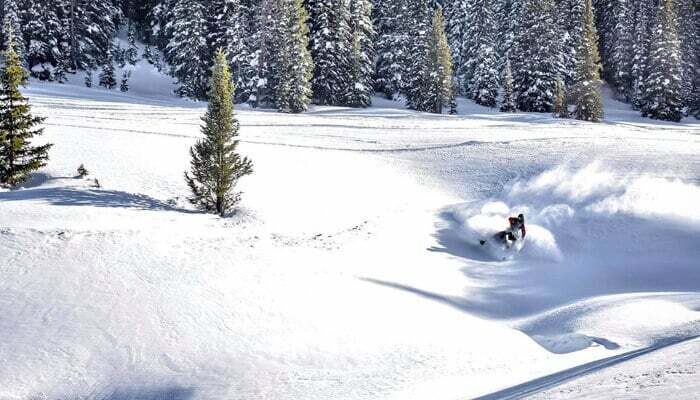 2019: Vail Colorado is currently experiencing the best spring conditions in recent memory! 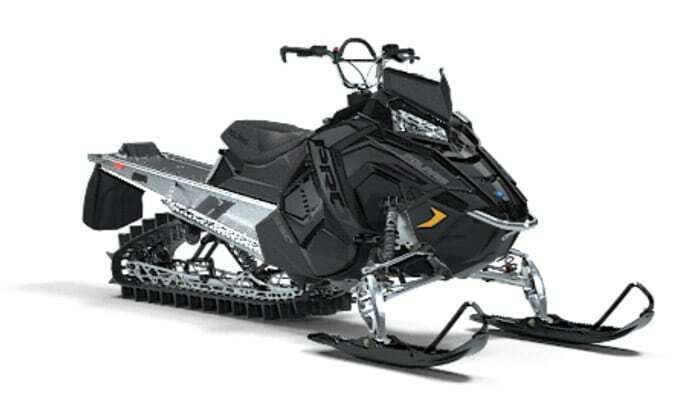 For the 2018/19 Winter Season, we have upgraded our Snowmobile Rentals to the 2019 Polaris PRO RMK850 Patriots. 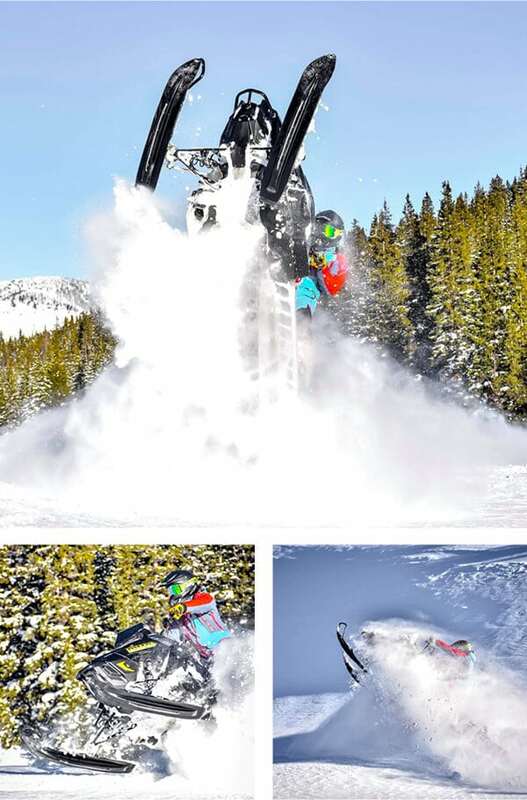 The PRO RMK850 is the preferred choice for almost every rider in Colorado. At less than 500lbs, the Polaris Patriot is the perfect mix of power and maneuverability. 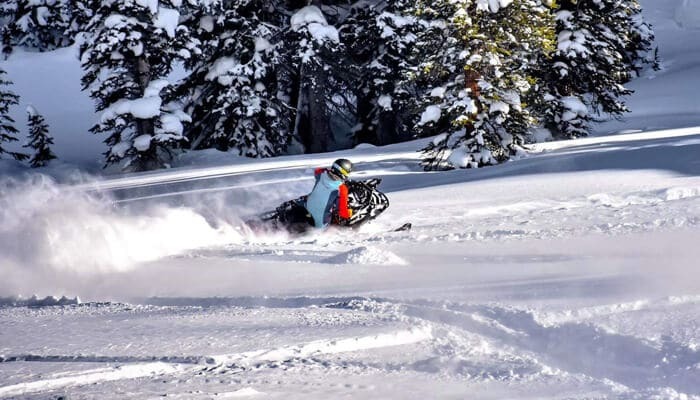 Are Snowmobiles Hard to Ride in the Powder? 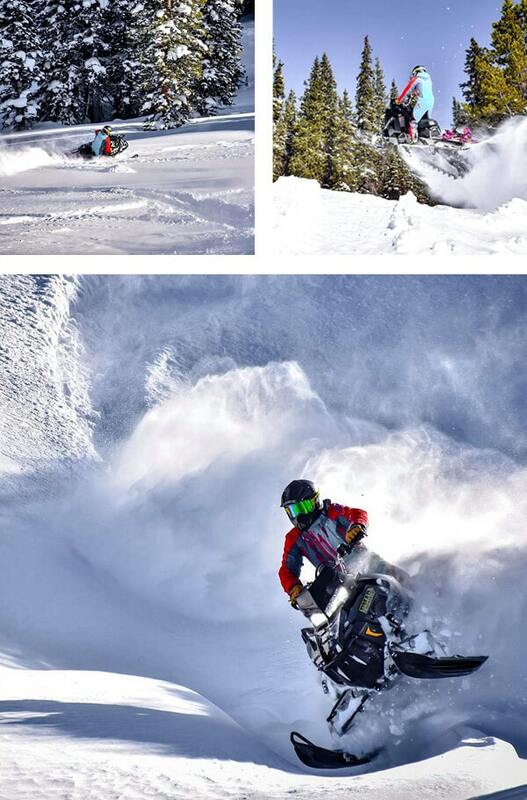 There are some fundamental techniques that one must acquire to be able to ride a snowmobile in powder. When it comes to riding our snowmobile rentals, for those of you who are experienced riders, there really will not be any learning curve unless you are coming from the midwest where the trails are more often than not, hard packed. For those of you who are new to the sport or maybe trying to get back into it after a few years away, we think you’ll find the Polaris PRO RMK850 manageable; you will most likely be riding it smoothly within an hours time of practice.